Quiet is sometimes more appealing than bustling when referring to community to call home. 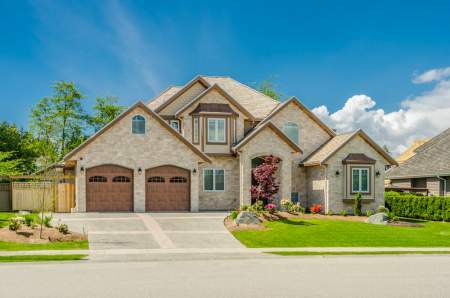 While some young households are attracted to a fast-paced lifestyle punctuated with fast food, quick trips, and endless recreational options, such is not the case for every household. Some households prefer a hushed community, a place where residents know when it’s time to close shop and go home. Martinez, California is a muted town where more precedence is placed on rest and relaxation than on adrenaline-pumping experiences. Martinez is a place where residents put in an honest, hard day’s work so they can clock out, go home, and enjoy the simple life. Martinez, California serves as the county seat for Contra Costa County, California. The town envelops 13.1 square miles in the 94553 zip code. The downtown area is recognized for its multitude of aged buildings and antique shops that have been remarkably well preserved. There’s an appreciation for history and a desire to honor the ways of old. The well-kept downtown area is both walkable and pet-friendly. There are approximately 37,567 residents calling Martinez, California their home. Among them, there’s an average annual household income of about $91,161, substantially higher than the state’s average annual household income of around $64,500. The affluence offers a mature and secure comfort without being driven by a need to keep up with the latest trends. Homes in the area hold average values of around $517,274, slightly above the state’s average home values of $449,100. Students living in Martinez, California attend schools managed by the Martinez Unified School District, which houses four elementary schools, one middle school, one high school, and two alternative schools. Martinez, California also houses a branch of the Contra Costa County Library. Martinez, California receives approximately 21 inches of rain each year, and no snow. The rain falls over the course of 41 days with measurable precipitation throughout the year. The community is drizzled in sunlight 265 days out of the year. Summer high temperatures hover at around 86 degrees with winter lows at about 40 degrees. Public transportation is provided by WestCAT, The County Connection, Tri-Delta Transit, and rail service from Amtrak and BART, the Bay Area Regional Transit system. The prize of Martinez, California is the John Muir House, a historic marker of a man who earned the nick-name, “Father of the National Park Service”. John Muir was a passionate conservationist and naturalist whose writings influenced political leaders to establish protection for areas such as Yosemite, Sequoia, the Grand Canyon, and Mount Rainier as national parks. Not every community has to be master-planned to be chock-full of more things to do than can possibly be done. In fact, some small towns can have winding roads that open themselves for evening sunset strolls with the family dog where you can meet and greet with neighbors who are doing the same. There are some places where the lack of things to do is more appetizing than a community that has everything.